We offer a broad range of educational opportunities for children, youth and adults, but it's not limited to church school. Guest speakers and staff members teach a variety of topics throughout the year. Wednesday evening worship prior to Lent. Thursday evening worship during Holy Week. Afternoon worship during Holy Week. Four offerings in the morning, afternoon, evening and midnight. The Children and Youth Nurture Commissions are charged with providing programming and family support for our children in the areas of faith development, biblical knowledge, theological understanding and spiritual growth. An intergenerational Christmas program is offered during the season most years by Children's Nurture Commission. The Christmas story is told and acted out in countless ways by people of all ages, all in celebration of the Birth. 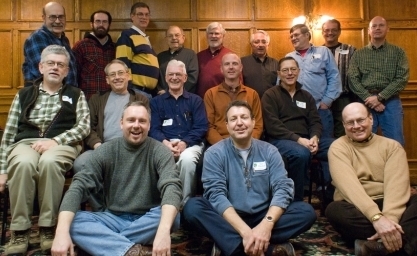 A national youth program offered by the Presbyterian USA every 3 years. Through presentations, studies, recreational events and mission experiences, youth and adults participate in activities that inspire them to be alert, active and seek ways to connect their lives with their growing faith.three day 'day camp' is held in June. A district sponsored God-filled weekend of fun for senior highs and their leaders, offered in March. The Adult Nurture offerings attempt to engage our adult church family in conversation, debate, prayer and understanding in the areas of Biblical study, theology, spiritual development, current events and social issues. 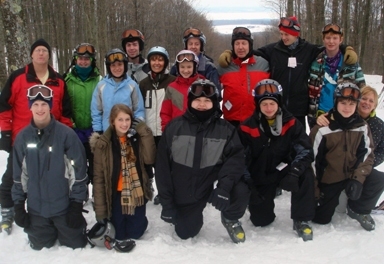 A two-day offsite program in January. Friday 5pm to noon on Saturday. A special speaker is engaged for this event. An offsite program in February. A special speaker is engaged for this event. Weekend seminars and Sunday worship services by a noted national theologian is held in February or March. We believe having a relationship with Jesus Christ means having fun. Throughout the school year activities like games, picnics, swimming parties, movies, concerts and lock-ins and retreats are scheduled. For the current fellowship events, click on link, This Week @GIPC. A time for fellowship in the mist of the bleak winter months. Potluck precedes the annual meeting of the congregation, second Sunday of February. A celebration of that wonderous day with egg casseroles, sausages, fruits and more. Enjoy a traditional gathering of church family at the ballpark of the Detroit Tigers in April. An August celebration of the glorious season with food, games and fellowship. A kick off celebration of our education year in September. Christmas caroling of the housebound church family followed by a light meal back at Fellowship Hall. A church wide adult celebration of the Birth, held on the first Saturday of December in the Fellowship Hall.